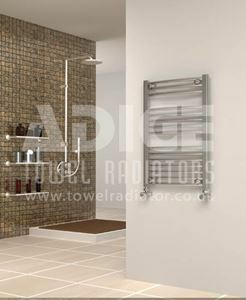 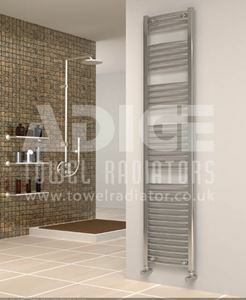 400mm wide and 1200mm high chrome curved heated towel rail with 308 Watt - 1052 BTU/h @ Delta 50. 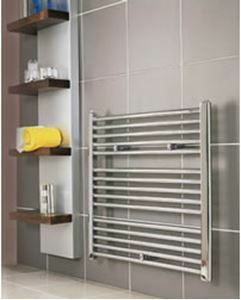 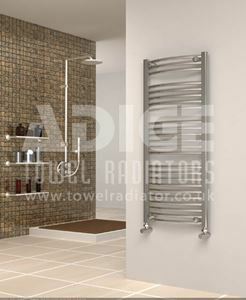 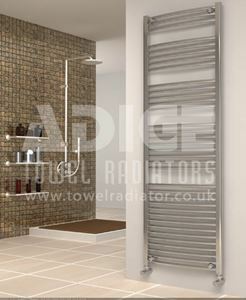 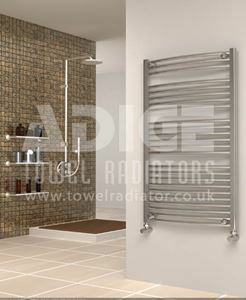 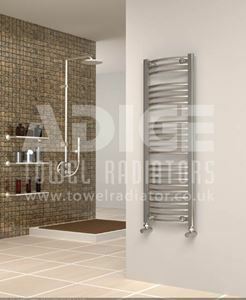 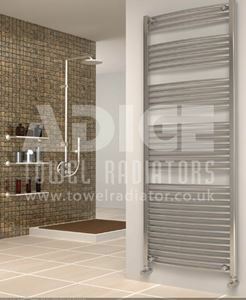 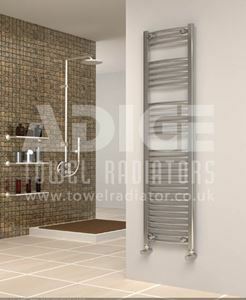 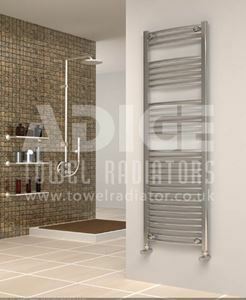 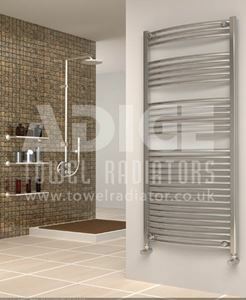 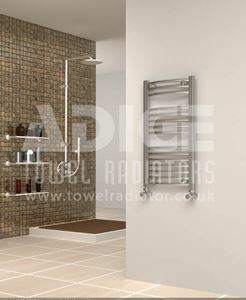 500mm wide and 1000mm high chrome curved heated towel rail with 357 Watt - 1219 BTU/h @ Delta 50. 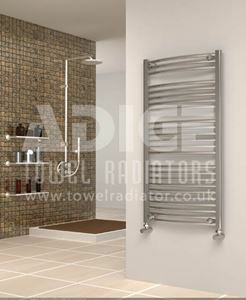 500mm wide and 1172mm high chrome curved heated towel rail with 291 Watt - 992 BTU/h @ Delta 50. 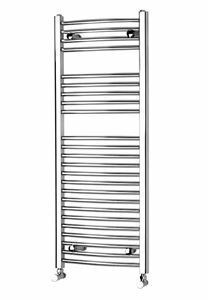 500mm wide and 1172mm high chrome curved heated towel rail with 391 Watt - 1334 BTU/h @ Delta 50.